Title: 'A New Map Of Italy'. 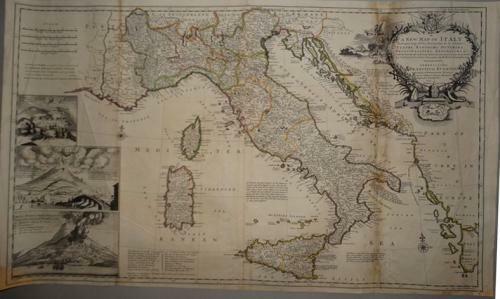 A large and decorative map of Italy. The map is in average condition with margin toning and some repairs. All faults are reflected in the price.